On November 18, 1928, the world’s most famous mouse made his very first debut. Today, we celebrate 90 years of Mickey in one of the most expansive illustrated publications on the Disney universe. Starting with the first sketches of a character originally named Mortimer, we trace the career of Walt’s and Ub’s most famous creation, one met with an explosion of worldwide popularity preceded only by the earlier successes of Charlie Chaplin. With unlimited access to the Disney archives and public and private collections, the authors bring Mickey’s success story to life: concept art, story sketches, backgrounds, and animation drawings as well as historical photographs trace the origins and evolution of such timeless favorites as Steamboat Willie, The Band Concert, and Brave Little Tailor; they also follow Mickey as he builds on this legendary library of short cartoons by appearing in two historic feature-length films, Fantasia and Fun and Fancy Free. Unfinished projects, many of them presented for the first time through original storyboard drawings, unveil a Mickey that might have been. 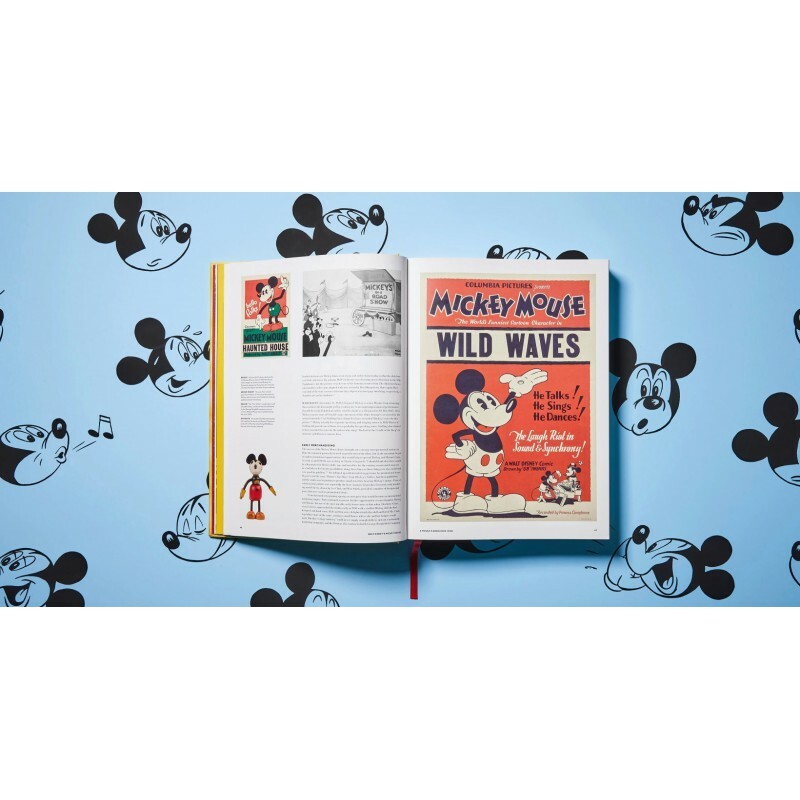 Extensive archival research sheds new light on little-known chapters of Mickey’s career, such as his pioneering radio shows, the origins of the Mickey Mouse Club, or his use as a patriotic icon during World War Two. 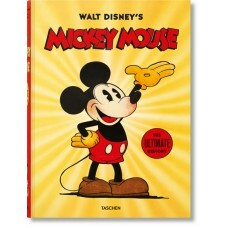 Along the way, we encounter the work of all major Mickey artists in both film and comics, including such greats as Ub Iwerks, Win Smith, Ferdinand Horvath, Freddie Moore, Floyd Gottfredson, Carl Barks, Manuel Gonzales, Paul Murry, Romano Scarpa, Giorgio Cavazzano, Byron Erickson, César Ferioli, and Noel Van Horn. 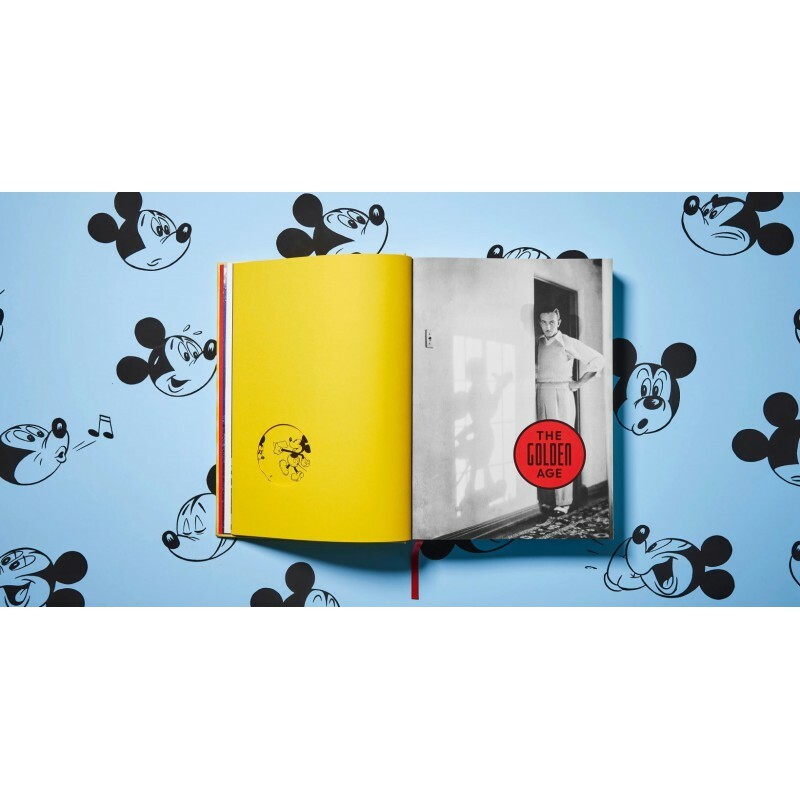 Mickey Mouse has left an indelible mark on everyday culture as well as high art, becoming a favored subject for Pop artists such as Andy Warhol, Keith Haring, and Roy Lichtenstein. As Walt Disney liked to say: “I only hope that we never lose sight of one thing, that it was all started by a mouse.” And an end to the success story is nowhere in sight. Today, at the tender age of 90, Mickey remains as lovable and popular as ever. Let’s pay tribute to the little fellow, his legend, and his legacy with a monument to the mouse. David Gerstein is an animation and comics historian, writer, and editor working extensively with the Walt Disney Company and its licensees. 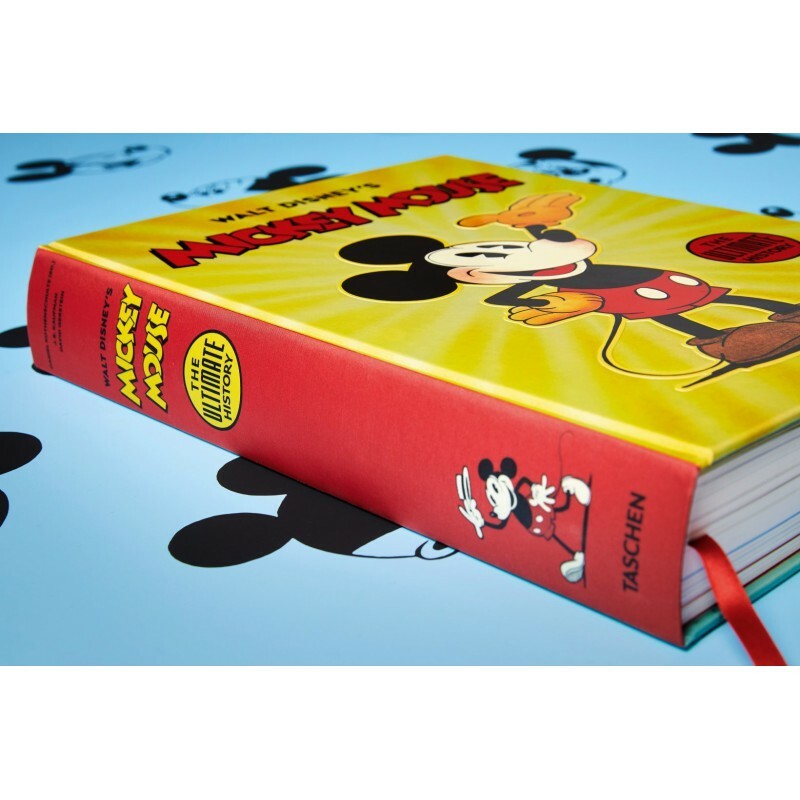 His published work includes Mickey and the Gang: Classic Stories in Verse, Uncle Scrooge and Donald Duck: The Don Rosa Library, the Eisner Award-winning Floyd Gottfredson Library of Walt Disney’s Mickey Mouse, and numerous comic book titles. 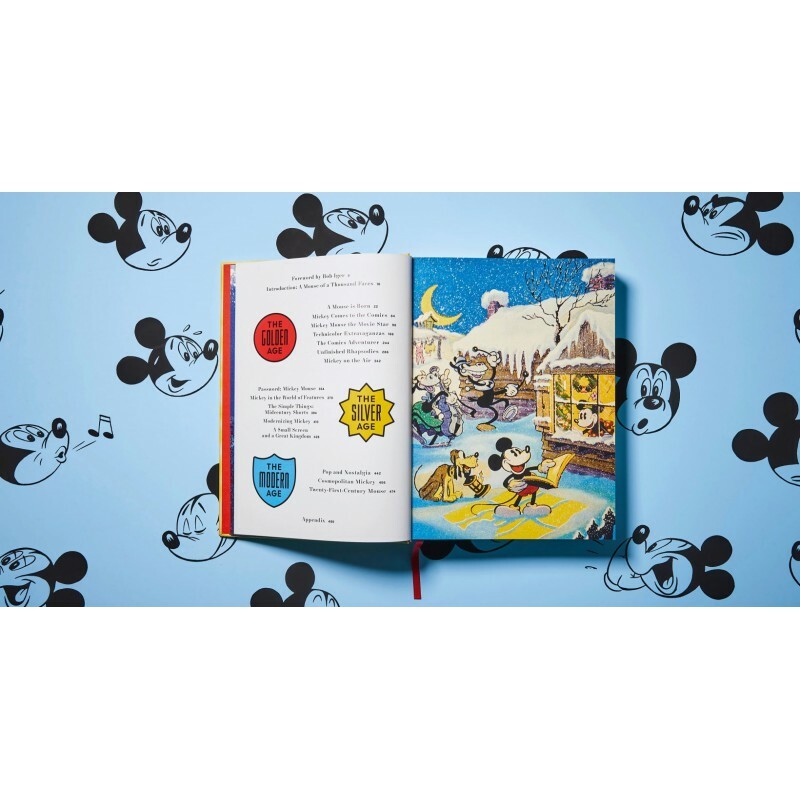 Gerstein has worked with Disney in efforts to locate lost Oswald the Lucky Rabbit and Laugh-O-grams shorts and to preserve the Mickey Mouse newspaper strip. He has also contributed to vintage cartoon home video and streaming programs for Thunderbean Animation, Cartoons On Film, and others. J. B. Kaufman is an author and film historian who has published and lectured extensively on Disney animation, American silent film history, and related topics. His books include The Fairest One of All: The Making of Walt Disney's Snow White and the Seven Dwarfs, South of the Border with Disney, and Pinocchio: The Making of the Disney Epic. 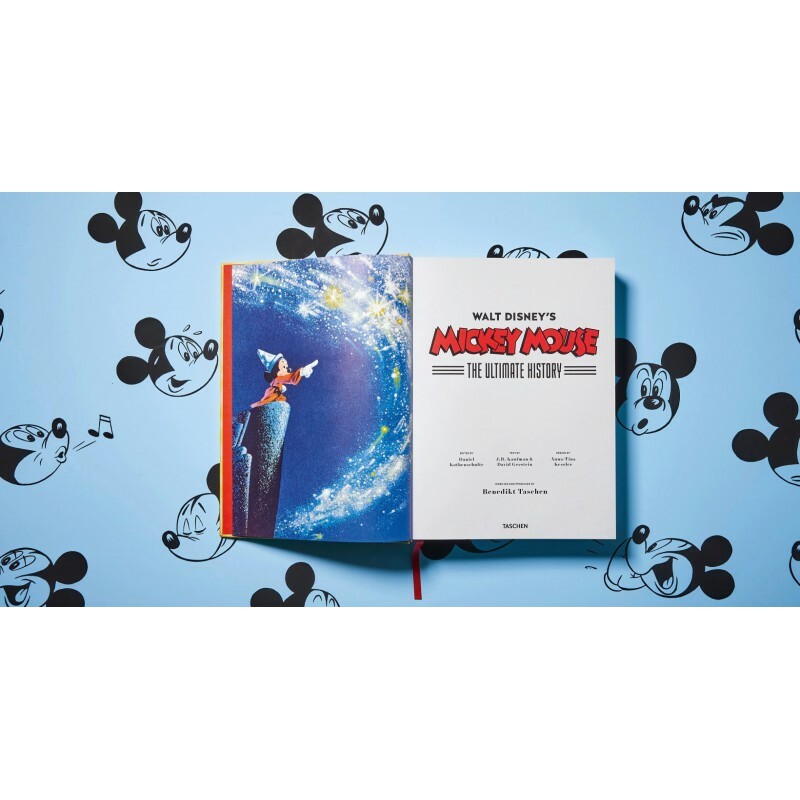 He is also coauthor, with Russell Merritt, of Walt Disney’s Silly Symphonies: A Companion to the Classic Cartoon Series and the award-winning Walt in Wonderland: The Silent Films of Walt Disney. In addition, Kaufman has presented programs at festivals, including the TCM Classic Film Festival and San Francisco Silent Film Festival. He holds forth online at jbkaufman.com. Daniel Kothenschulte is an author, curator, and lecturer on film and art history, and a lover of animation since he first saw The Jungle Book at the age of three. As a film journalist, he is responsible for the film section in the German national daily newspaper Frankfurter Rundschau and a regular contributor to WDR Television. He has taught at various universities, including Städelschule in Frankfurt; the University of Applied Sciences and Arts, Dortmund; and the University of Television and Film Munich. He is the author of Hollywood in the ’30s and The Art of Pop Video, as well as books about Robert Redford, Fritz Lang’s Metropolis, and artist Mike Kelley. In addition, he provides accompanying music to silent films on the piano.